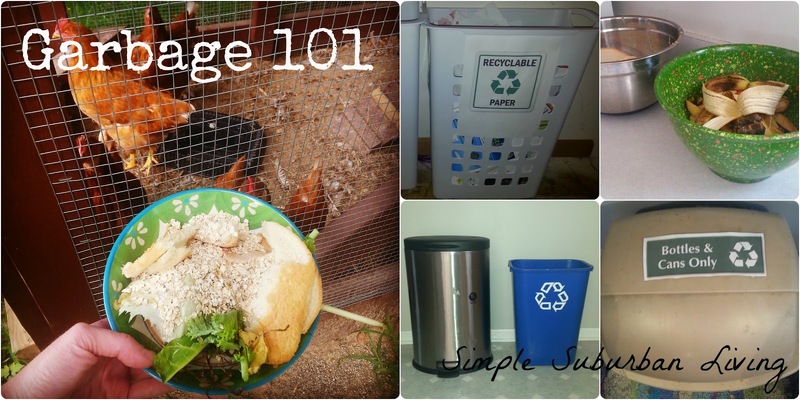 "40 percent of food purchased for the home is wasted. Half of the world's produced food is wasted." That's a huge amount of food wasted, food produced but never eaten. And certainly most of that wasted food ends up in landfills. We are proud to announce that we here at Simple Suburban Living waste 0% of our food. Absolutely no food whatsoever finds its way from our house into a landfill. Remember from yesterday's post that landfills should be the last resort for our waste. All of our food scraps get fed to the dog or chickens, and anything they don't eat ends up in our compost piles. We have a worm compost bin in the basement, and a compost pile in the backyard. 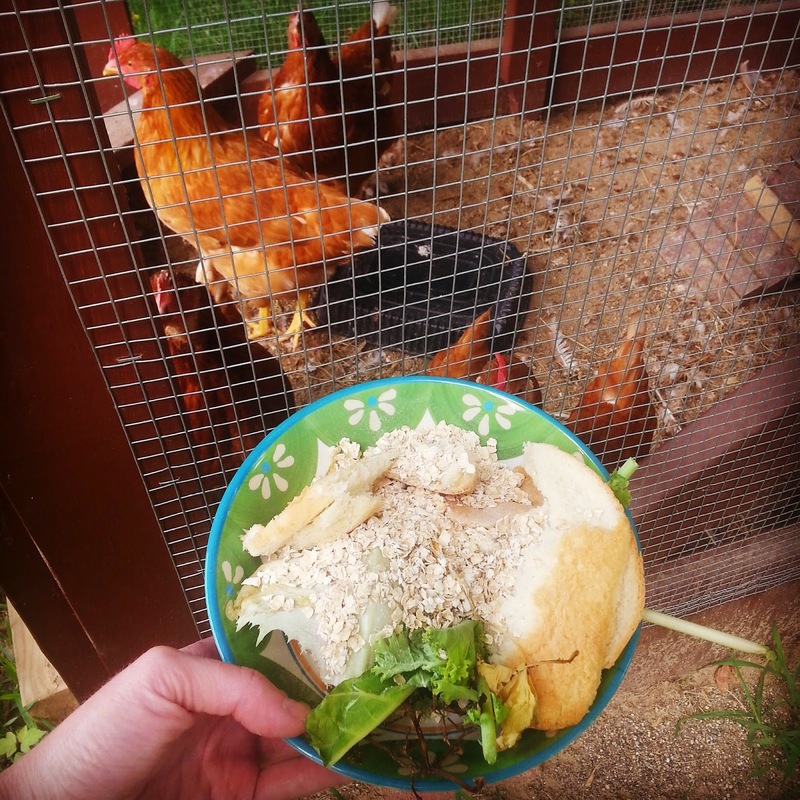 Our chickens are our vegetable, grain, fruit, and dairy garbage disposals. They are fed chicken feed also, but they just love the food scraps, too. If you have ever read the ingredients on most dog food packages, you will notice the first ingredient listed is corn. You don't even want to get me started on the subject of corn, but more importantly, dogs are not meant to eat corn. They are carnivores. They need meat. With that said, our dog eats all of our meat scraps and leftover meat. We do give her dog food also, but not nearly as much as we used to because her diet is supplemented with our leftovers. 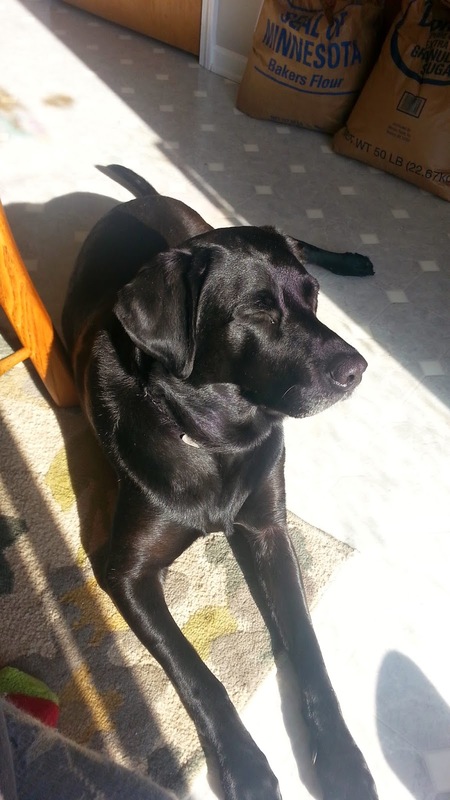 We have noticed a huge improvement in her coat and bathroom habits since we've changed her diet. 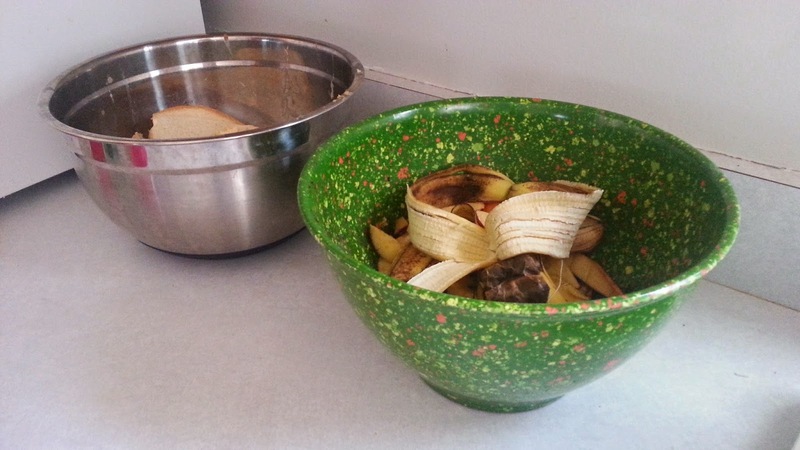 To make things easier and more convenient, we keep food "garbage" bowls on our kitchen counter. One bowl is for the chickens, the other for the worms and compost pile. We found that we compost more when we don't have to walk the food scraps outside. In other words, we found that we are a very lazy environmentally-minded folk. Serving our food waste to the animals and compost piles is now an integral part of our life and the changes were easily implemented over a short period of time. Even the girls take an active part and know where to separate the food scraps. I just love it when the youngest SSL Kid says "compost".